An easy product life cycle chart maker that helps make product life cycle chart with free templates. Quickly and easily create product life cycle chart in minutes. 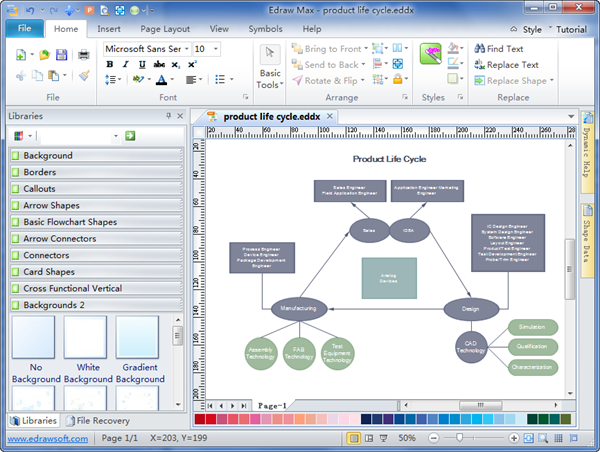 Discover why Edraw is an awesome product life cycle chart maker: Download it Now. Edraw product life cycle chart maker is a one-stop provider of graphing solutions for any level of users. Included are over 6000 symbols and various kinds of examples, so even beginners can handle this tool without hassle and create infographic diagrams. The interface is quite similar to MS Office, which saves you the time of learning curve. The smart shapes reduce the connection process. The built-in designed themes let you apply color scheme and format effects with one click. And the compatibility allows you to transfer your drafting into many other formats and share information with your colleagues in a revolutionized way. 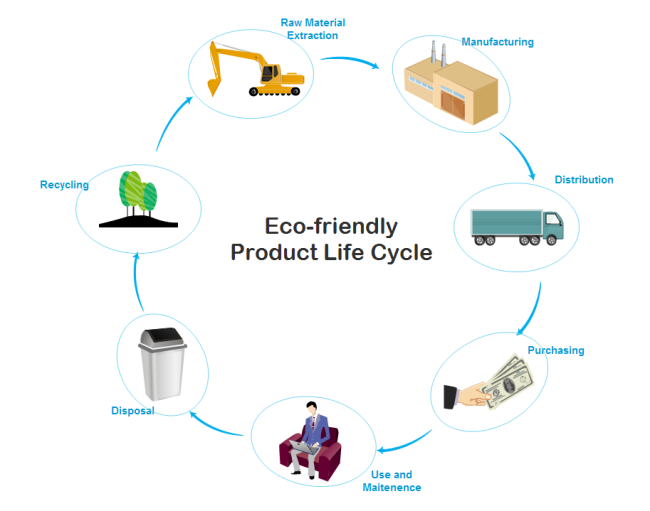 Here provides a simple product life cycle example created by Edraw. All the clip arts you see on this chart are included in Edraw's built-in library.